Calton Hill is formed of basaltic lava and ash layers. 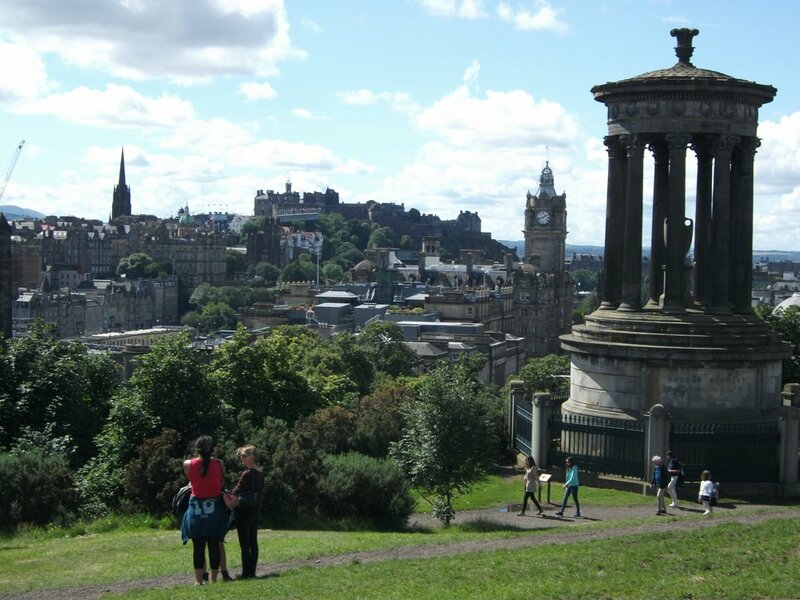 The excursion will explore the geological features on Calton Hill and the geology of the local building stones and monuments. We will walk up to the top of the hill from Waterloo Place and back down to Regent Road. Mainly on made paths but some steps, and grass slopes. Take care crossing roads in the city. Watch out for steps, steep and grass slopes. Hard hats or Hi-viz clothing needed? May dogs be brought on the excursion?